You'll be £4.99 closer to your next £10.00 credit when you purchase King's Cross Second Man. What's this? This is quite a detailed book... It will appeal to those who work or worked on the railways. Norman Hill was born in Potters Bar, Herefordshire, in 1939. He has had a lifelong interest and railways and since leaving school in 1956, he spent some nine years in BR booking offices on both Eastern and Midlands regions. 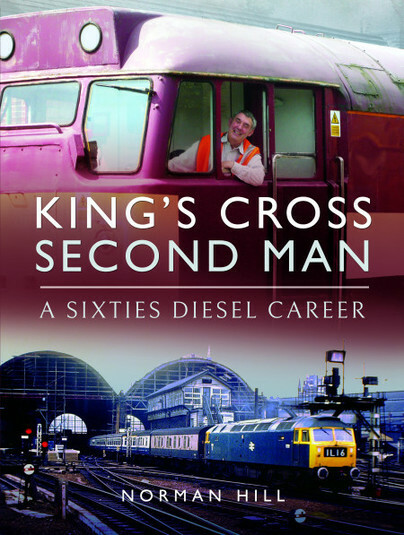 In 1963, he moved to the Midland region Audit HQ in Melton House, Watford, and in 1964 he went to King's Cross as a 'second man' on diesel locomotives. Norman returned to full-time education in 1973 and completed a BA (hons) degree in 1978. He finally returned to the GNER and retired from King's Cross Travel Centre in 1999. He has published one previous book entitled Teesside Railways A View from the Past.